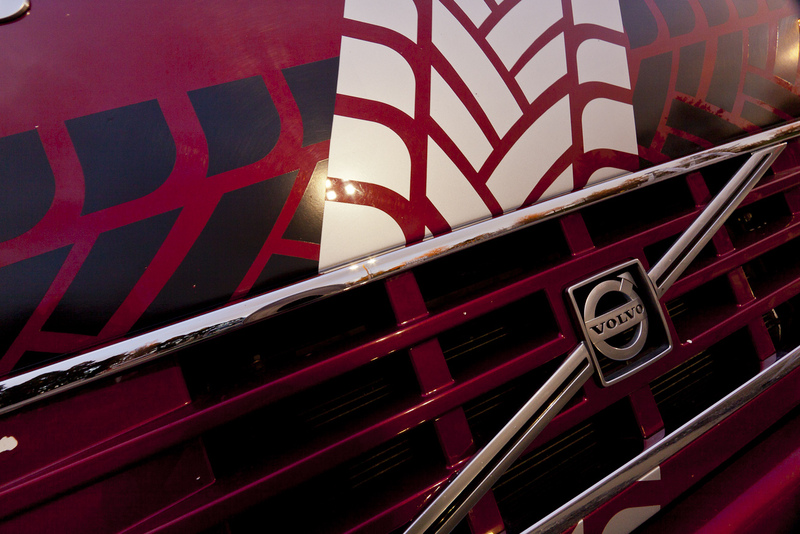 MTC’s import Volvo FH12 had a makeover and now she’s sweet, in fact she’s a cherry! 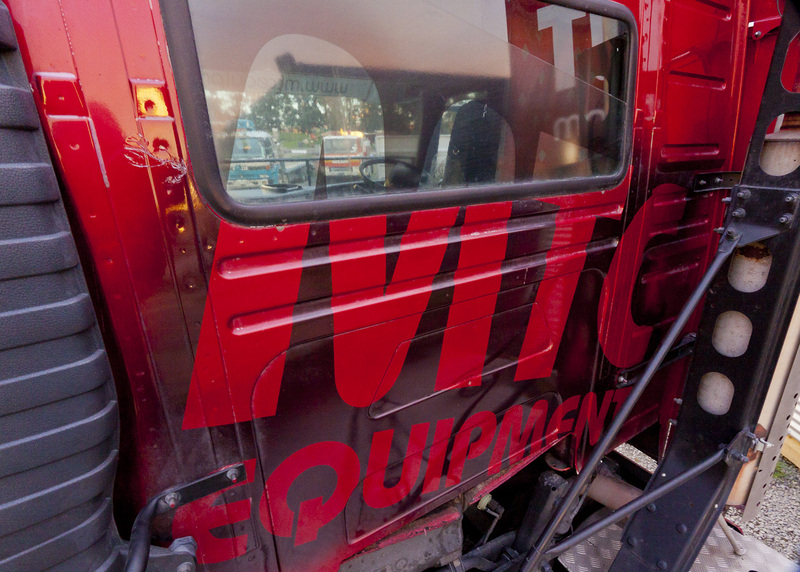 The air is thick with ideas in the MagentaDot Brands studio, design is a classic discipline of endless potential and this brief from MTC Equipment was generously thrown wide open. 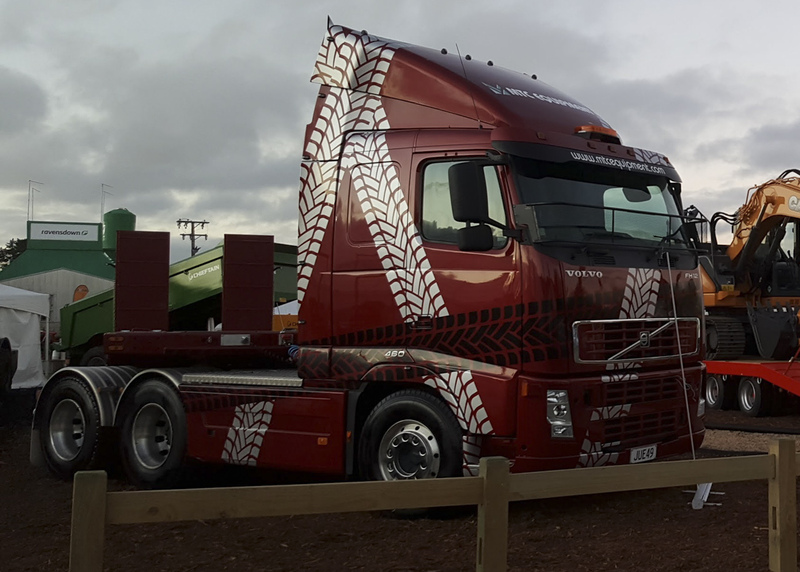 The new livery design brief for the Volvo was given to me in a meeting concurrent with TruLine Civil’s in-house truck painter Andrew Gill, a true master of his trade. 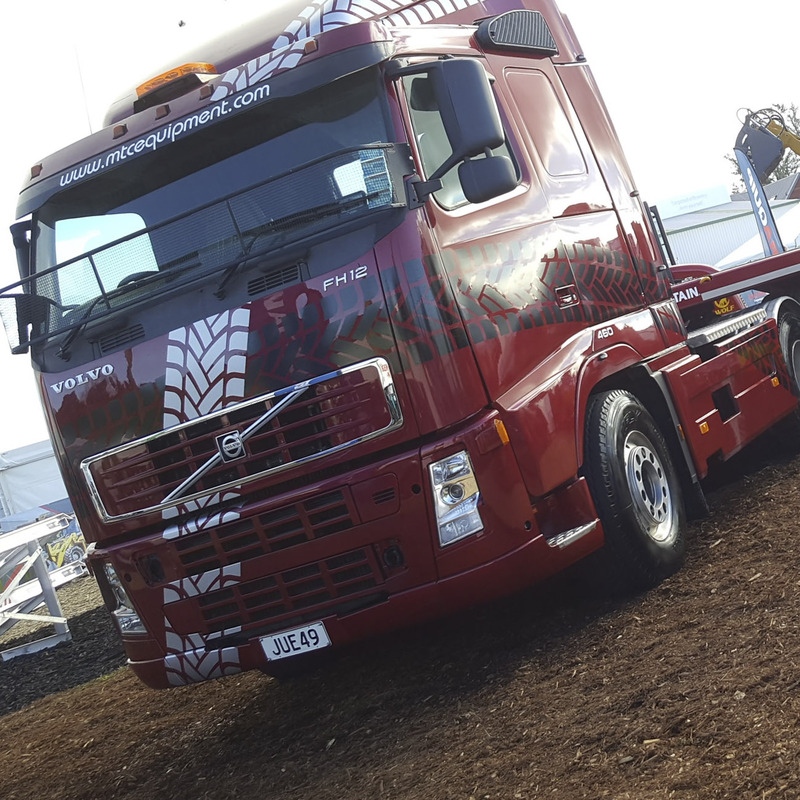 This kicked off a fruitful, illustrious collaboration with him and Darren Leeds of Leeding signs. 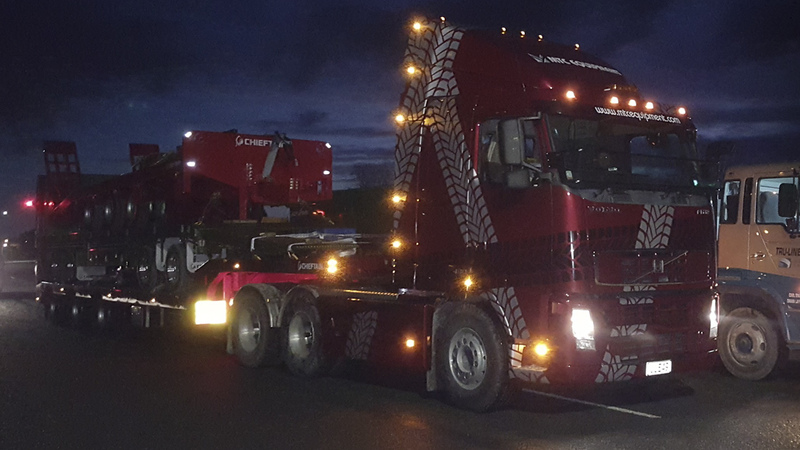 It included the discussion of details like the quality of new alloy boilerplate and wheel arches, the exhaust stacks makeover, and the bold selection of the AA premium cherry red metallic lustre paint to boot! 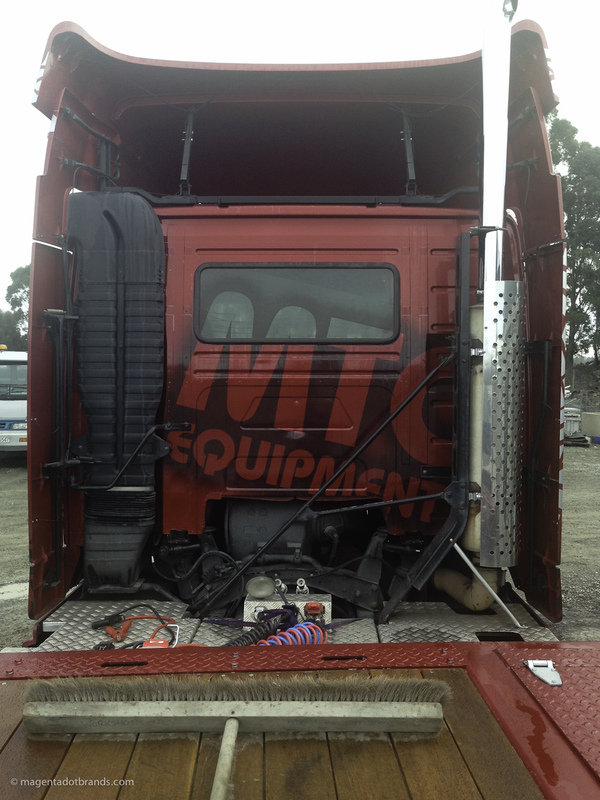 Metallic paint being an exceeding rare choice for long haul trucks to be finished in. 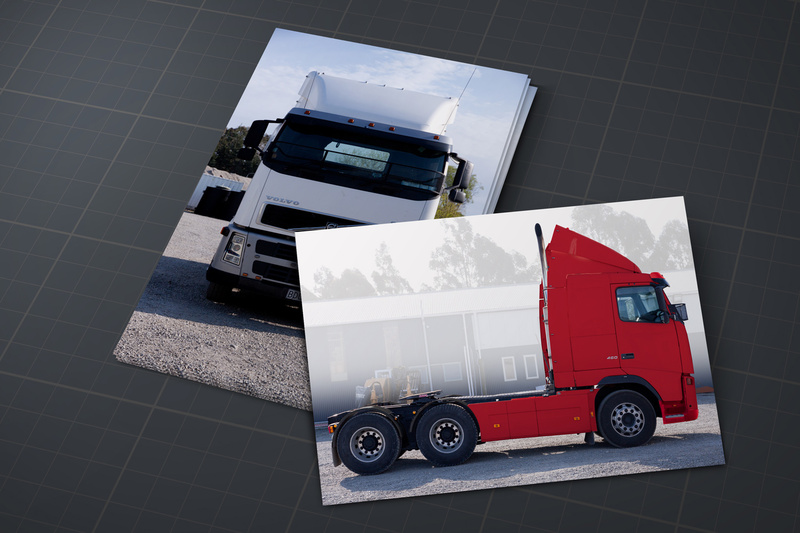 Presentation visuals were supplied to the client and stakeholders as a set of orthographic projections. 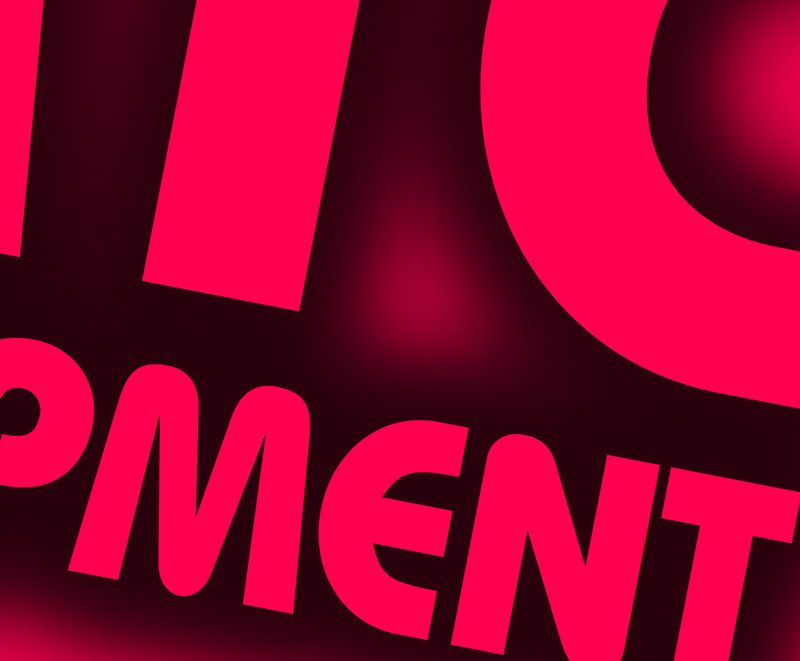 Design is a classic discipline of endless potential including the opportunity to add real value to my client’s business. 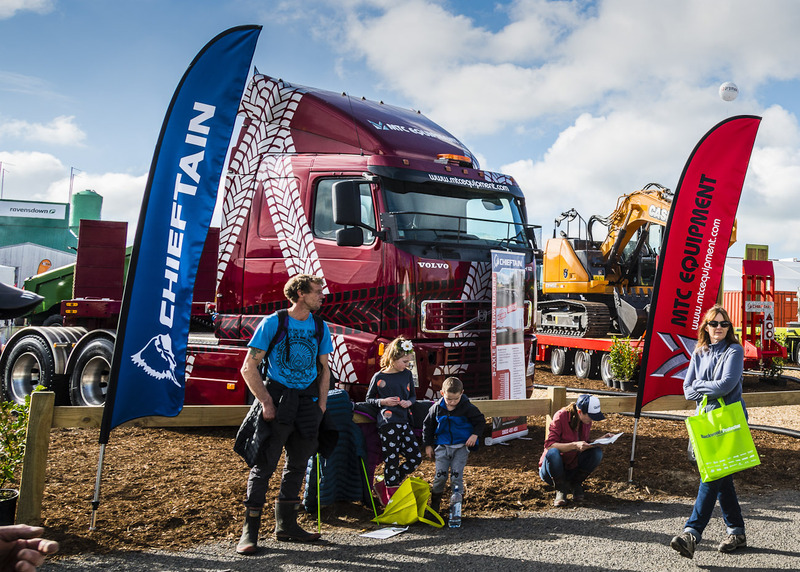 I strive to produce excellent design, and I know Darren and Andrew are at the top of their game so I leapt at the chance to apply my creative skills and craft to the project. 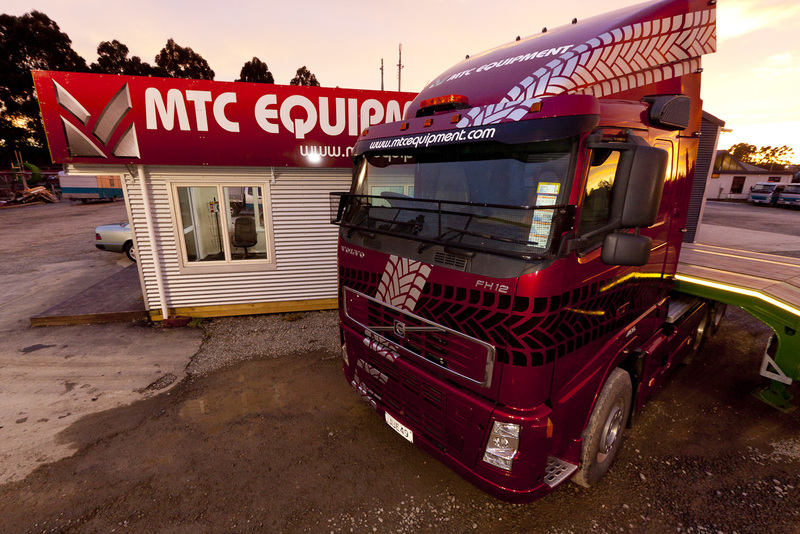 The two tone black and reflective silver MTC “M” logo tread design adds high impact, depth and drama to an already handsome truck and completes the package of a moving MTC billboard that looks super graphic and will be turning heads, and making the MTC brand memorable everywhere it goes. 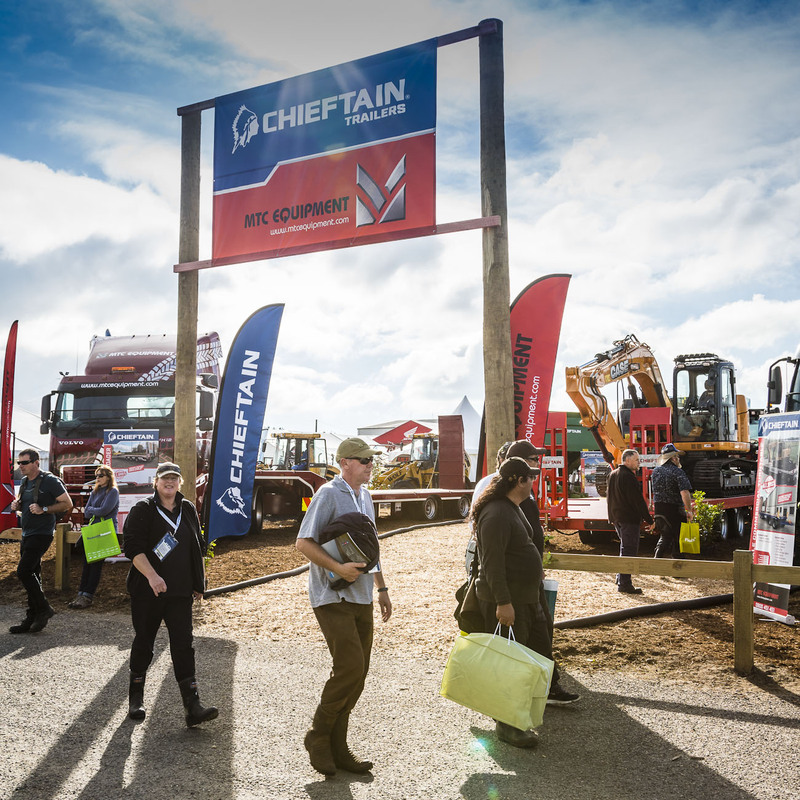 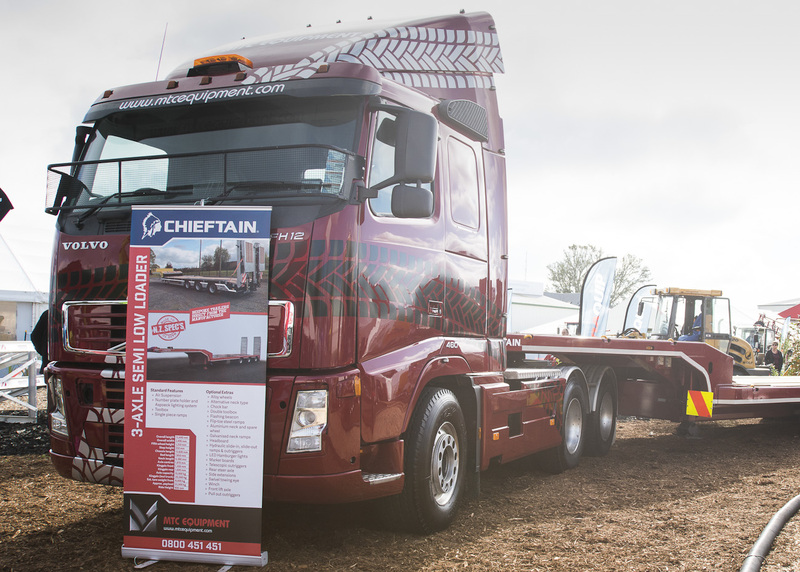 It will especially, and this is no small thing, make a strongly favourable impression with customers when it delivers their brand new SDC or Chieftain trailer to their premises. 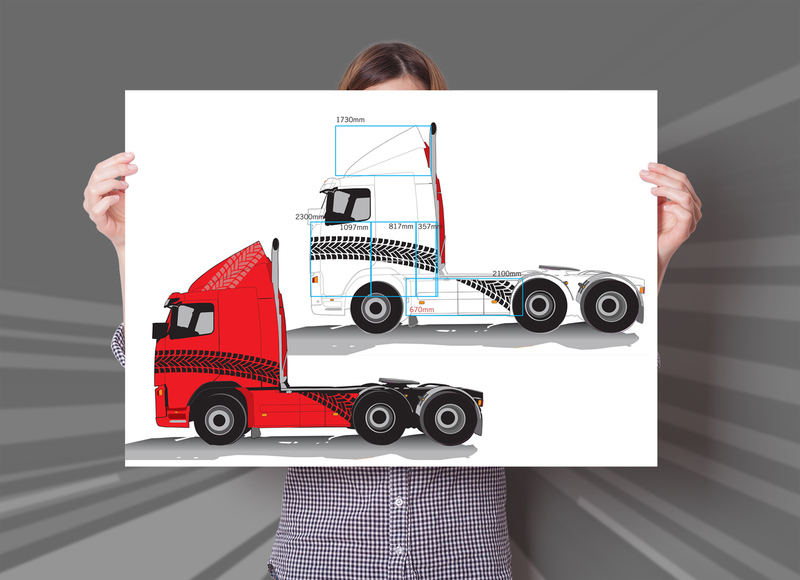 The As-Built plans and concept visuals enabled production of accurate vector art for signwriter.and truck painter. 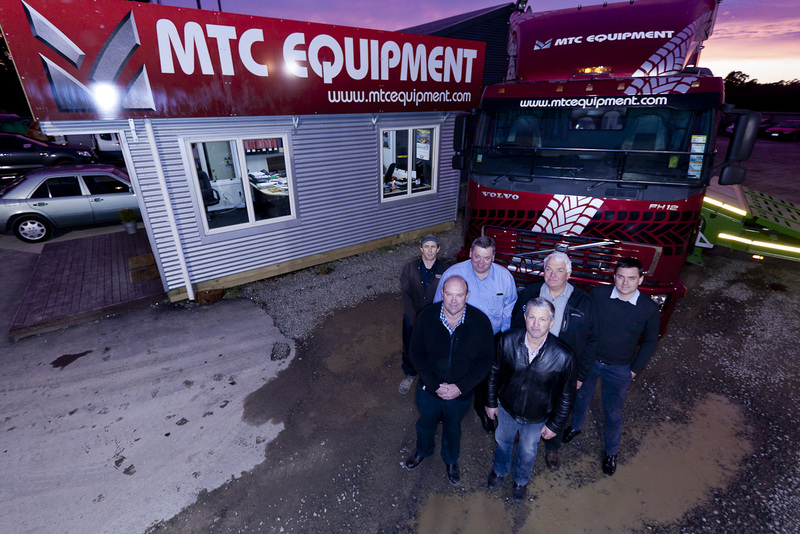 MTC is New Zealand agent for Chieftain Trailers and SDC Trailers and supplies custom designed and built Commercial and Agricultural trailers to New Zealand customers, which naturally involves towing the trailer to their location behind well branded truck. 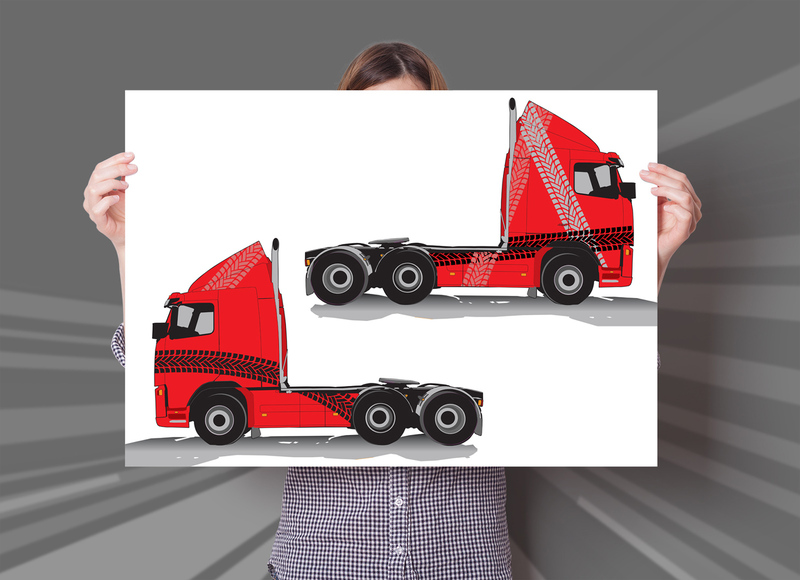 Photos from the briefing meeting were developed into vector illustrations. 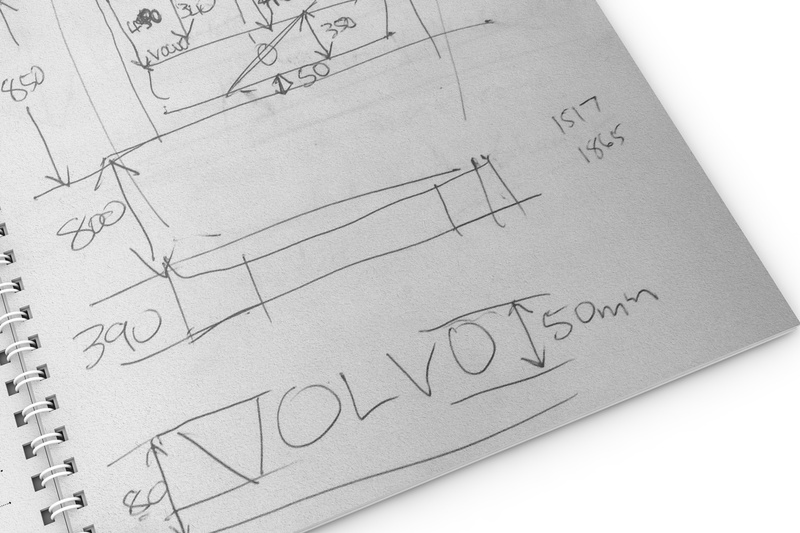 The Volvo truck was accurately dimensioned. 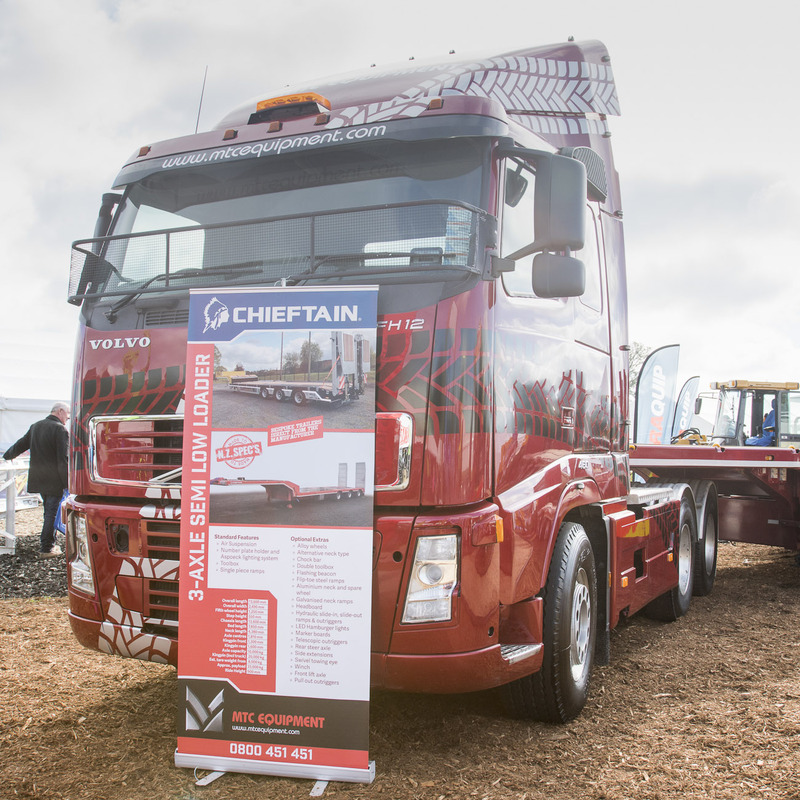 From the briefing photos accurate presentation visuals and As-Built plans were developed. 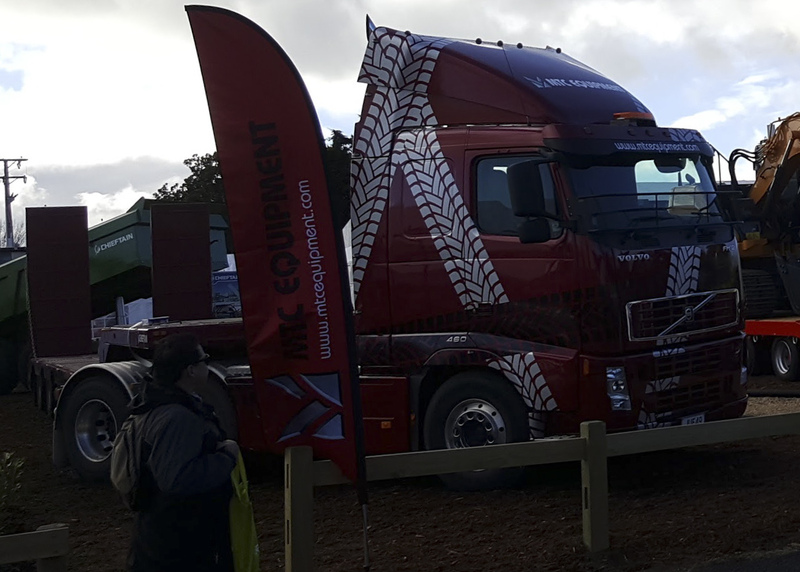 The super graphic MTC Volvo at the Mystery Creek field days exhibition. 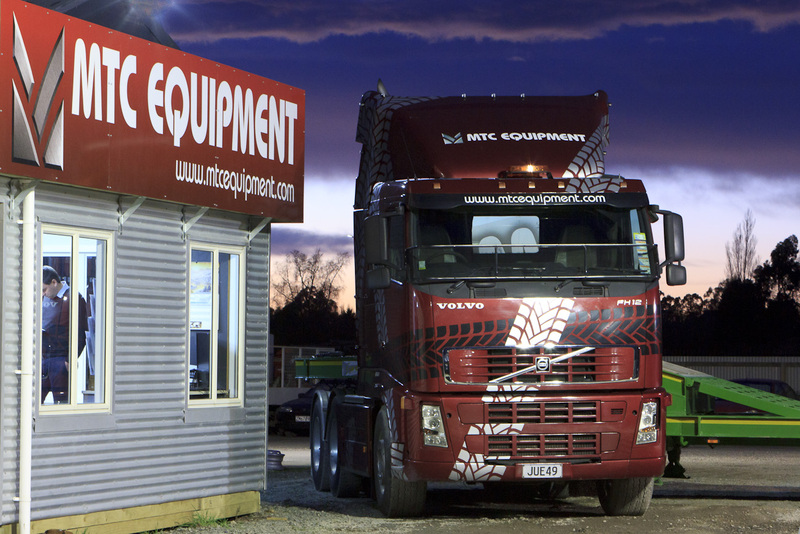 MTC is New Zealand agent for two of Europe’s leading commercial trailer manufacturers and supplies bespoke Commercial and Agricultural trailers to New Zealand customers. 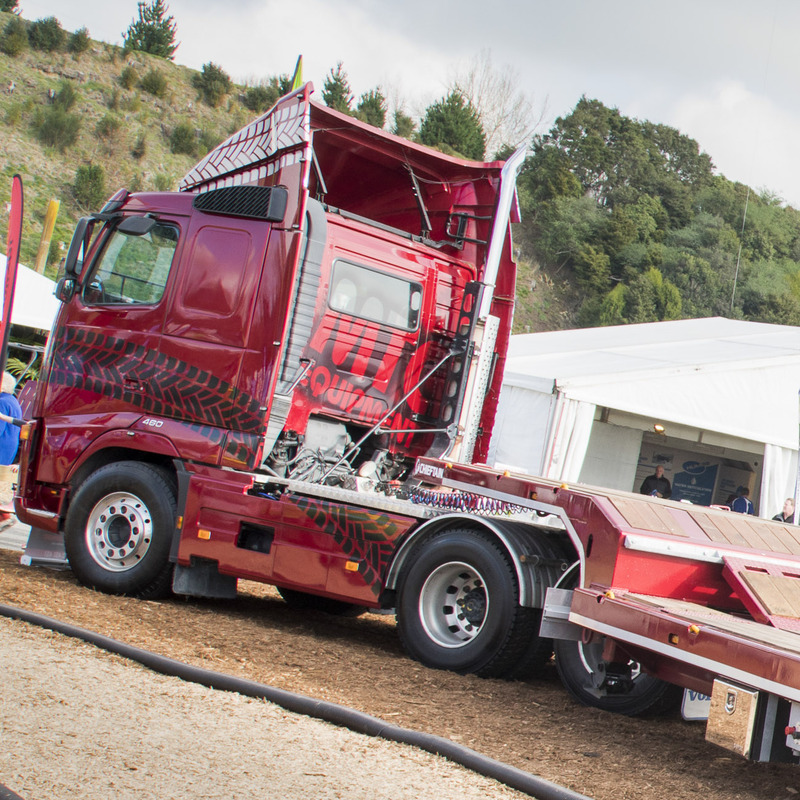 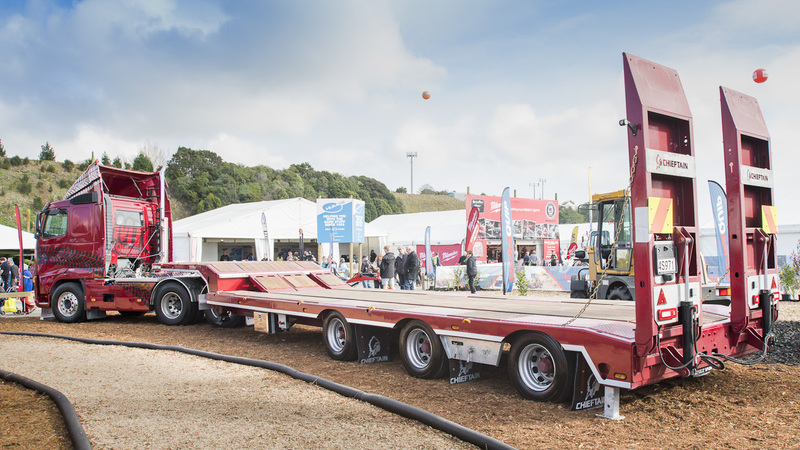 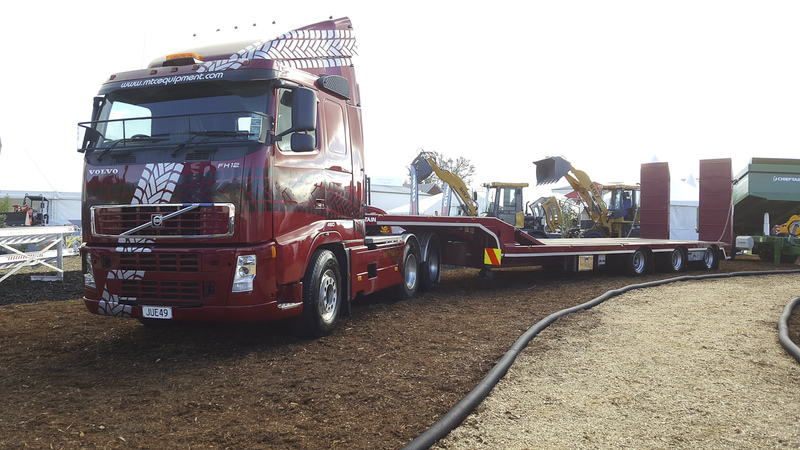 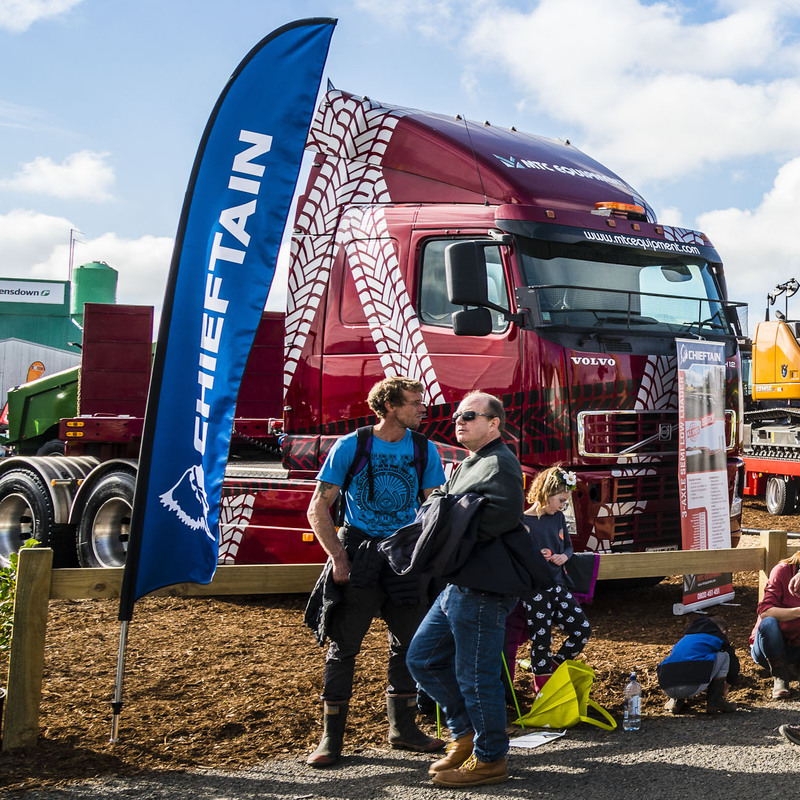 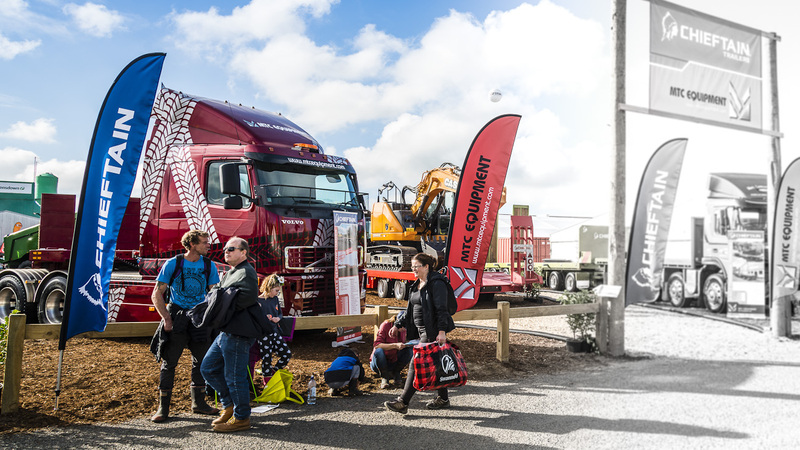 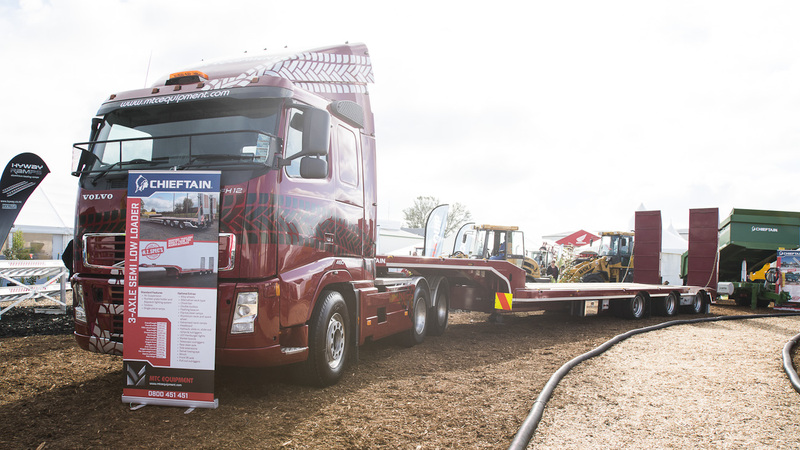 The purpose of the MTC livery Volvo is for the delivery of orders to customers and for the hauling of trailers to, and being the centrepiece of, MTC’s exhibition stand at Agricultural and Pastoral shows the length and breadth of the country. 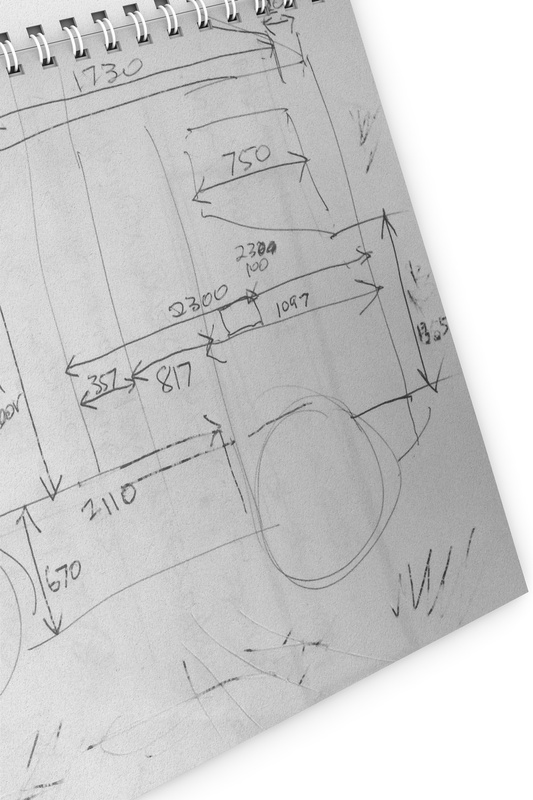 Key dimensions were recorded at the briefing. 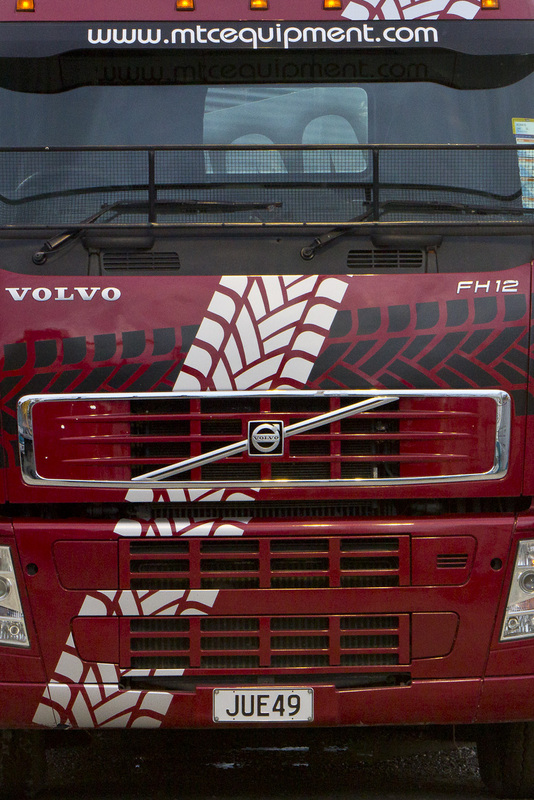 Direct airbrushed effect achieved by printing high-res bitmap to clear vinyl. 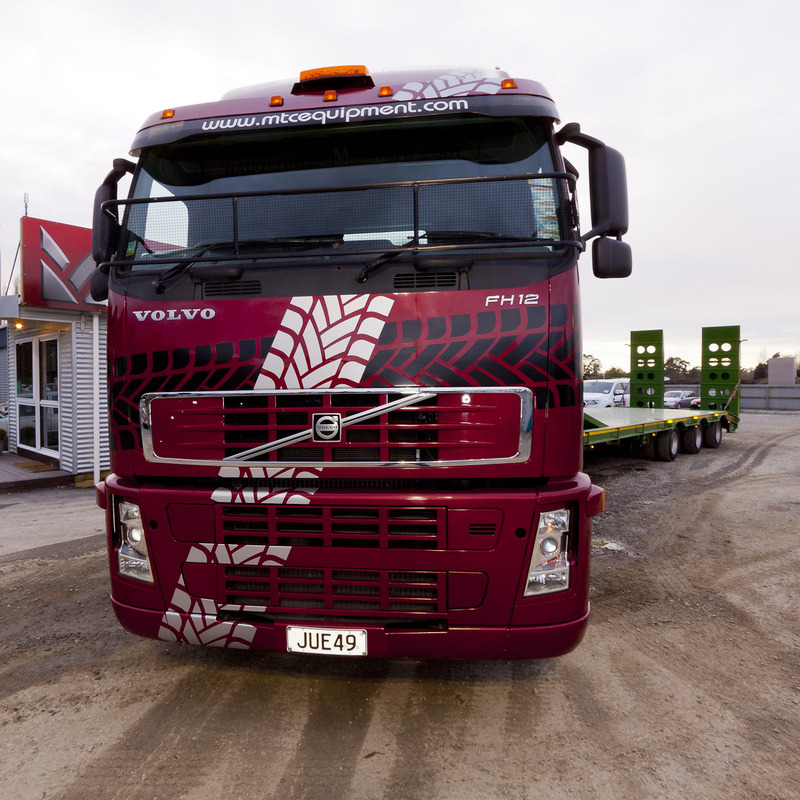 MTC’s Volvo FH12 is a supergraphic moving billboard. 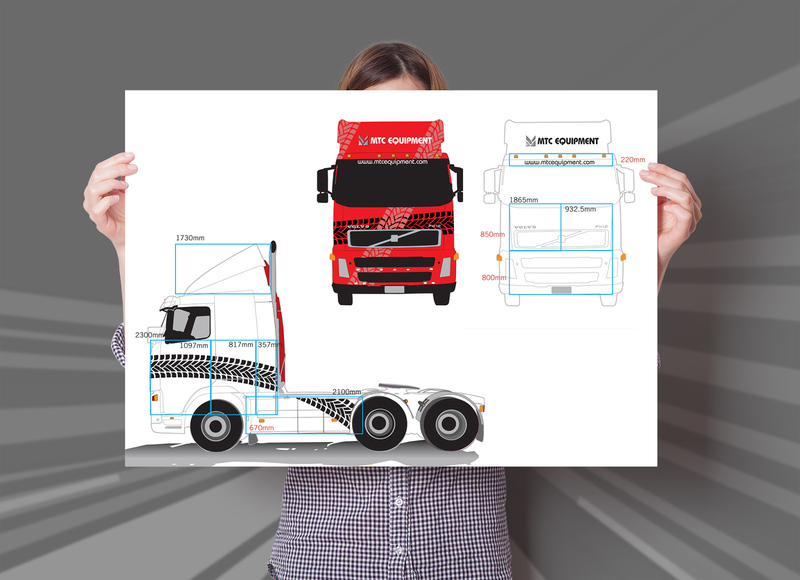 The design project comprised photographing and measuring up the Volvo after taking the brief from the client and the paint and panel man, then drawing up highly developed “as built plans” in the form of illustrations of the livery to scale. 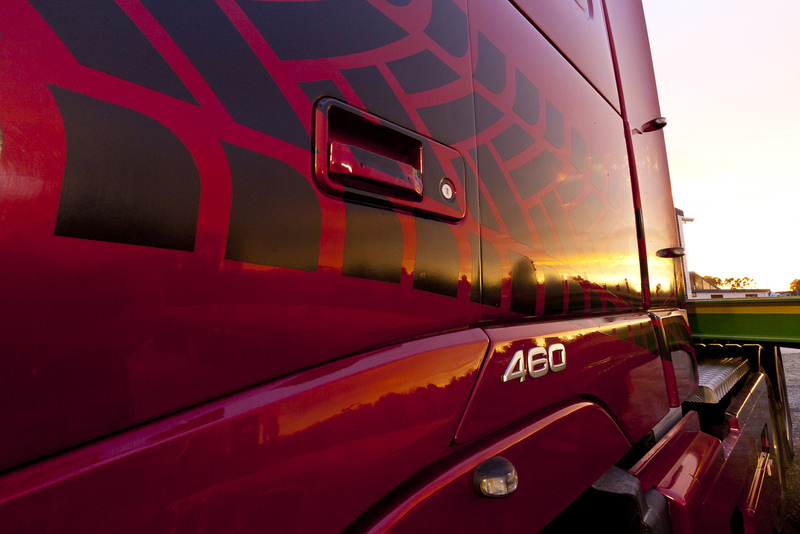 The brief stated that the vehicle livery should be outstanding, and tie into the themes of MTC’s brand colour palette, logotype, the “M” identifier symbol and illustrative tyre tread brand asset. 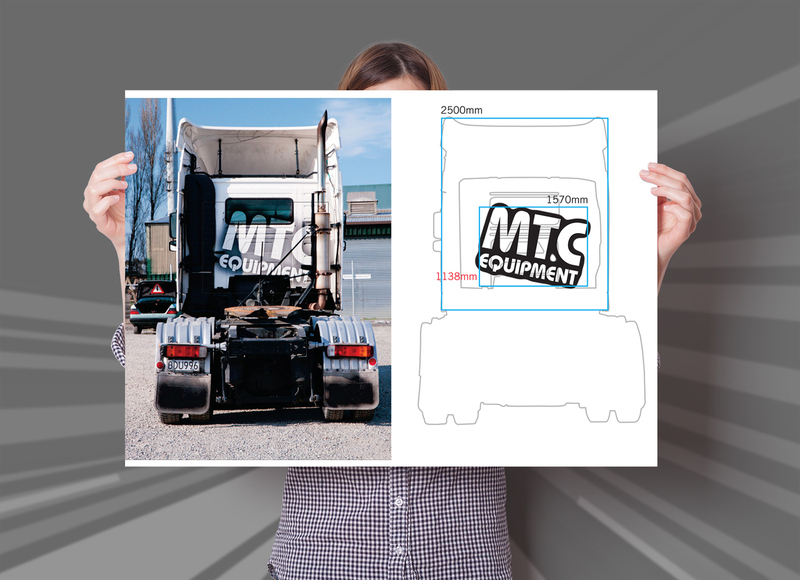 The project process involved first photographing and measuring the vehicle in order to draught illustrated draft concepts for presentation, and highly accurate As-Built plans and final vector artwork to scale. 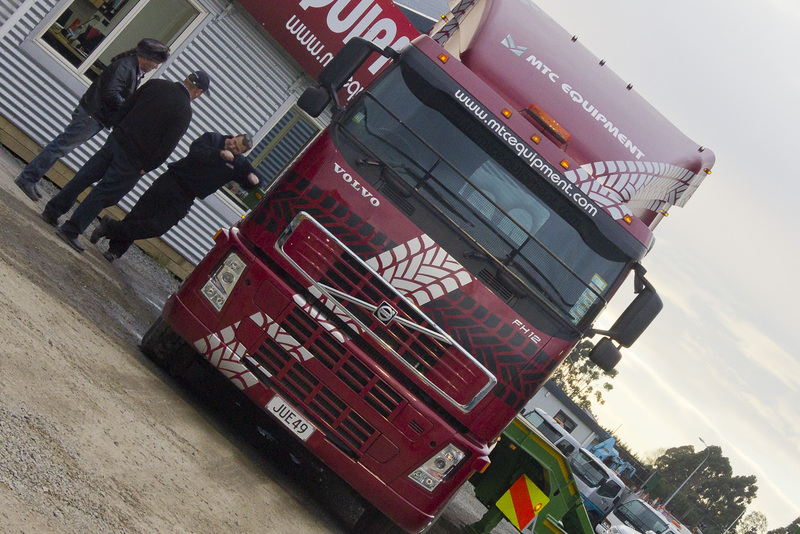 The process results in easy, no-waste, high quality application by the signwriter and finished results that exactly conform to the concept visuals, thereby ensuring a final product that meets or exceeds client expectations and keeps the signwriter happy too as they can deliver real value for money in terms of low material costs and the detailed dimensioned blueprint supplied, the utmost ease of application.